According to Peter van Inwagen, visible inanimate objects do not, strictly speaking, exist. In defending this controversial thesis, he offers fresh insights on such topics as personal identity, commonsense belief, existence over time, the phenomenon of vagueness, and the relation between metaphysics and ordinary language. 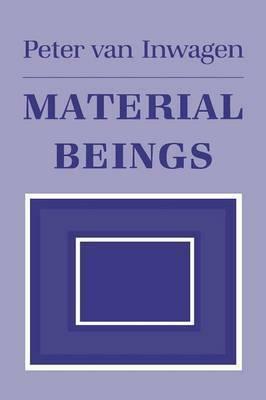 The topic of this book is material objects. Like most interesting concepts, the concept of a material object is one without precise boundaries. A thing is a material object if it occupies space and endures through time and can move about in space (literally move about, unlike a shadow or a wave or a reflection) and has a surface, and has a mass and is made of a certain stuff or stuffs. Peter van Inwagen isJohn Cardinal O'Hara Professor of Philosophy at the University of Notre Dame. He is the author of many books, includingThe Problem of EvilandOntology, Identity, and Modality.